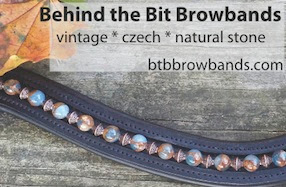 This nice browband is just $10 bucks, cob only. A great find for someone with a delicate-headed horse! See DressageExtensions.com.